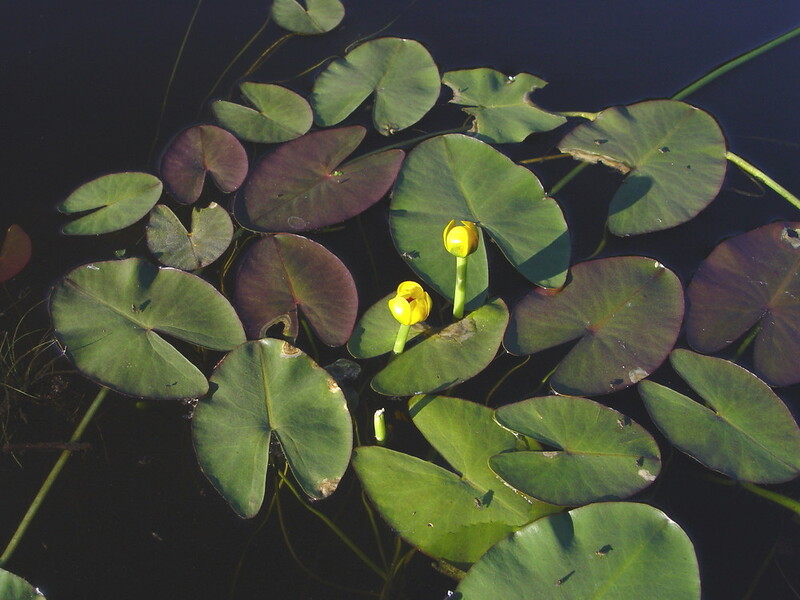 Small-leaved pond-lily is found in much of New England, but is uncommon in some states. 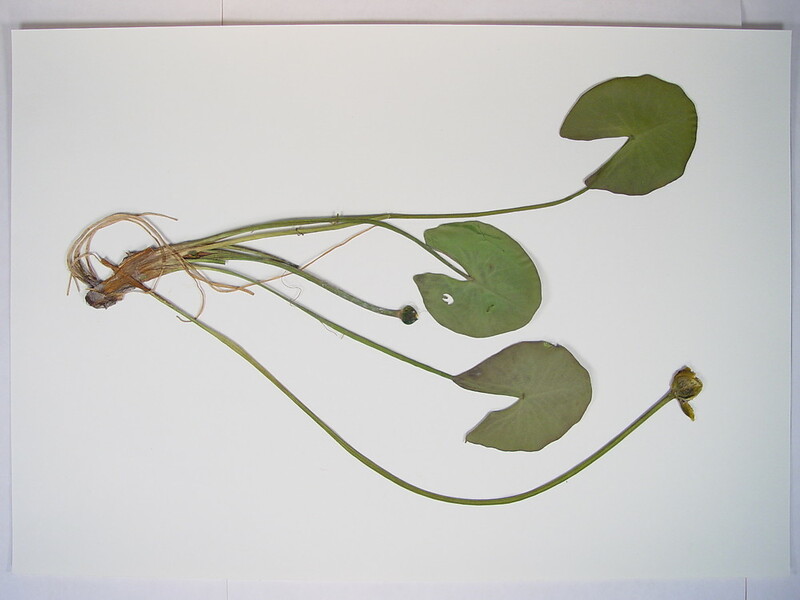 Ironically, broad-spectrum herbicides used to eradicate invasive aquatic weeds could be an important danger to this species where it occurs. 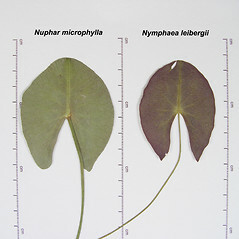 sepals 2.5–5 cm long, numbering 6 per flower, anthers longer than the filaments, fruit only slightly constricted below the green or rarely red stigmatic disk, and basal sinus of leaf blade mostly 30–59 of the length of the blade midrib (vs. N. microphylla, with sepals 1–2.5 cm long, numbering 5 per flower, anthers predominantly shorter than the filaments, fruit strongly constricted below the red stigmatic disk, and basal sinus of leaf blade mostly 54–90% of the length of the blade midrib). 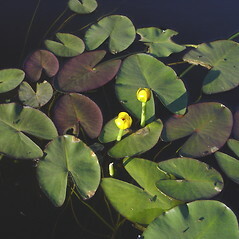 small-leaved pond-lily. 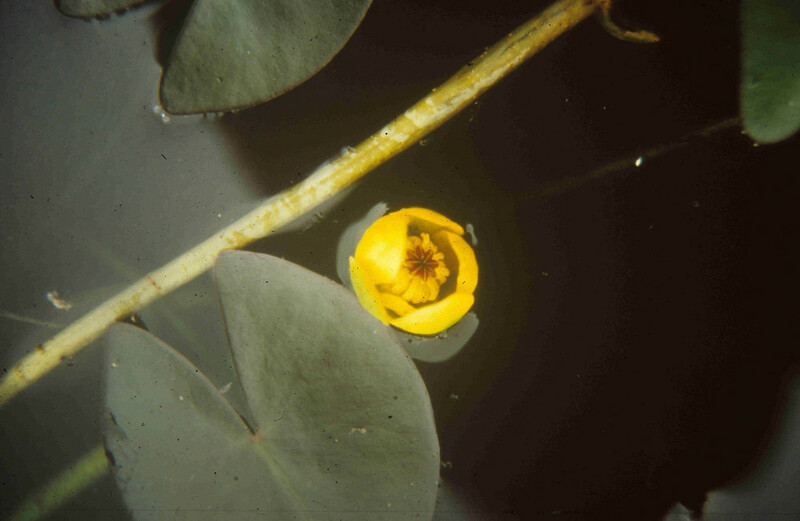 Nuphar minima (Willd.) 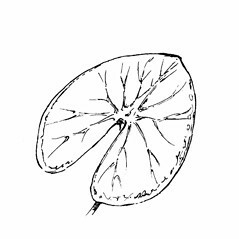 Sm. 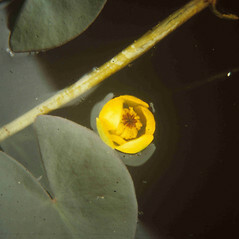 ; Nymphaea microphylla Pers. 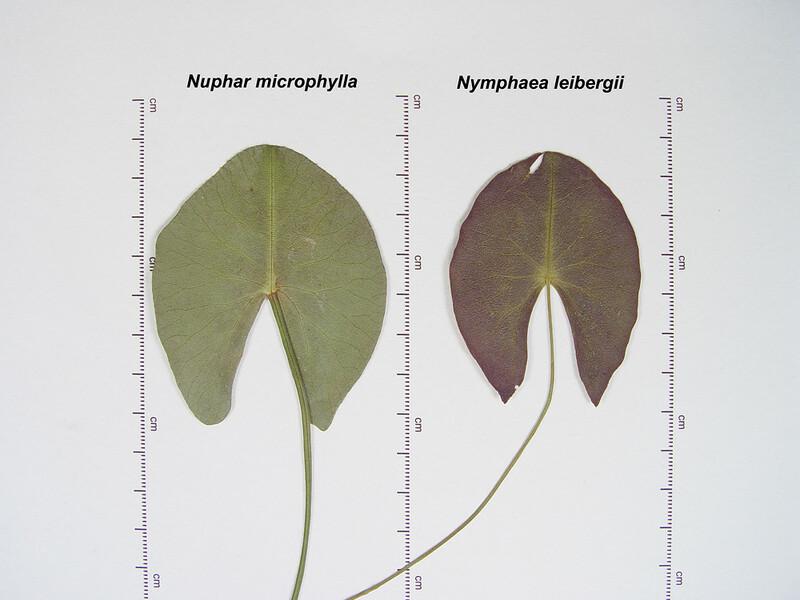 • CT, MA, ME, NH, VT; also reported for RI by Magee and Ahles (1999), but specimens are unknown. Circumneutral to basic water of lakes and slow-moving streams. 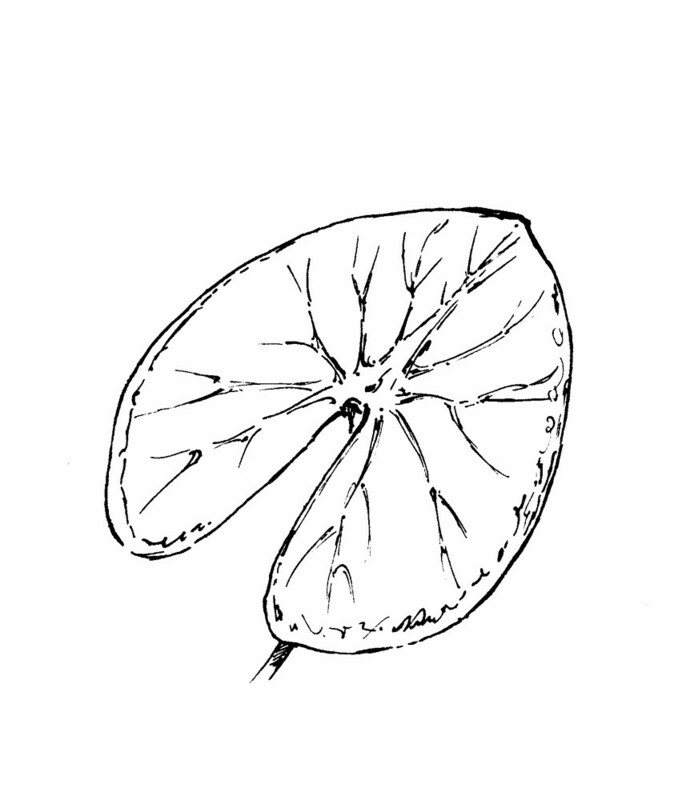 2×3. Nuphar microphylla × Nuphar variegata → Nuphar rubrodisca Morong is an infrequent hybrid of circumneutral to basic water. It is known from CT, MA, ME, NH, VT. 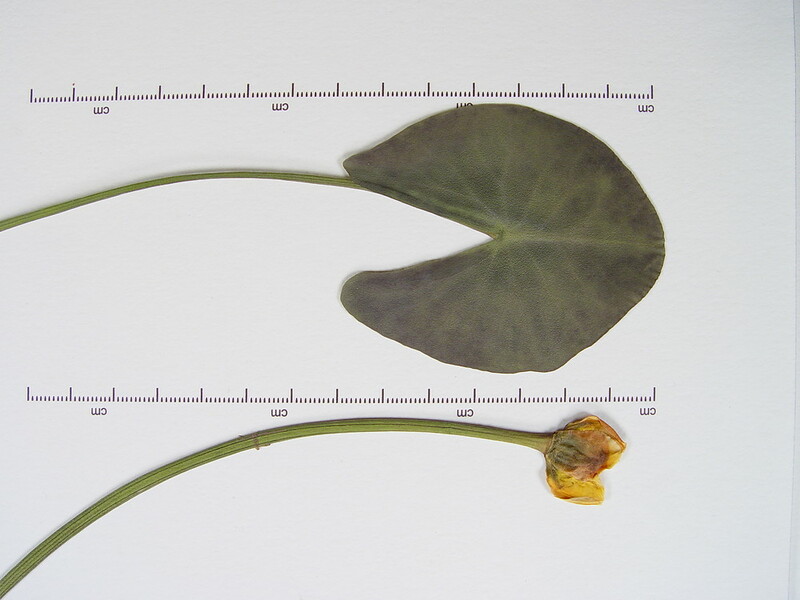 It has been treated as a species, but it shows morphological intermediacy, poor fruit set, and lower pollen viability than other sympatric species (Padgett et al. 1998). 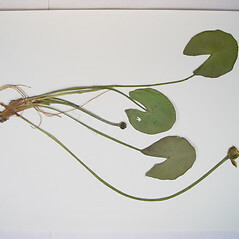 It resembles N. microphylla in some key characteristics (e.g., short sepals, fruit constricted below stigmatic disk, anthers predominantly shorter than filaments). 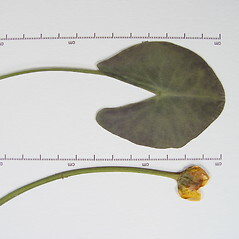 The hybrid is characterized by 5 or 6 sepals per flower, anthers (2–) 3–6 mm long, stigmatic disk with 8–15 stigmatic rays that terminate 0–1.6 mm from the margin, each ray separated by a shallow sinus, the constriction below the stigmatic disk 5–10 mm in diameter, petals and stamens usually persistent as remnants at the base of the fruit, and basal sinus of leaf blade 39–59 (–62)% of the length of the blade midrib (vs. sepals 5 per flower, anthers 1–3 mm long, stigmatic disk with 6–11 stigmatic rays that terminate 0–0.2 mm from the margin, each ray separated by a relatively deep sinus, the constriction below the stigmatic disk 1.5–5 mm in diameter, petals and stamens promptly deciduous, and basal sinus of leaf blade (42–) 54–90% in N. microphylla).